Check out what’s brewing at some of the hottest brewery tap rooms in the city. 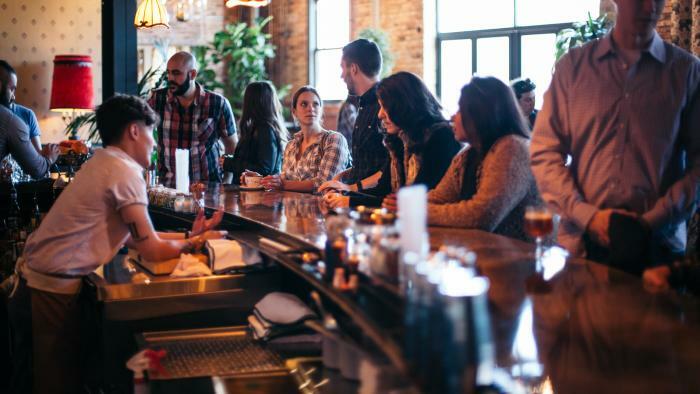 A history-laden rising star in the world of craft beer, Chicago is the founding place of several craft breweries entrenched in tradition and local pride, many of which house amazing taprooms in which to wile away the hours. Note: If you want to delve even deeper into Chicago&apos;s craft brewing culture, check out Chicago Beer Festivals & Events, as well as Chicago Craft Breweries Not to Miss and Chicago Brewery Tours. Two local Chicago home brewers founded this lively South Loop spot. Vice District Brewing&apos;s taproom is located mere blocks from McCormick Place/McCormick Center, Soldier Field, Grant Park, Millennium Park, and the Museum Campus. With a distinctly airy, industrial vibe, the tap room features a rotating list of house and seasonal selections made onsite. You can also sample a flight, offered for just $10 on Friday nights. You&apos;ll also find a wide selection of family and adult-oriented board games, and, of course, Wifi (in case a beer is the inspiration you need to get your work done). Best of all, Vice is pet friendly! Over in West Town, you’ll find Chicago’s first brewery dedicated to crafting fine botanic beers using all-natural ingredients. With a nod to beer-making’s earliest days, these alchemists, brewers and rootmasters use bark, stems, blossoms, sap, herbs, spices, leaves, flowers and honey in their quest for new and different flavors. At the heart of Forbidden Root&apos;s tap room is a four-sided bar, standing at the center of a rich and woodsy environment. For a more intimate vibe, opt for the tables at the front of the brewery. A pretty impressive gastropub menu rounds out the experience. 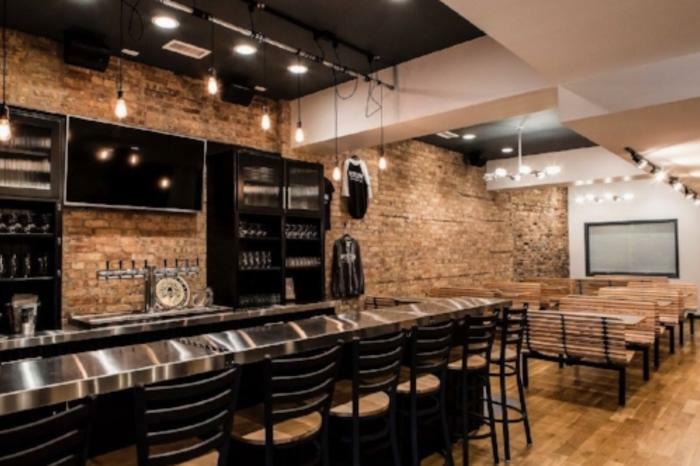 @ Goose Island Beer Co.
Head to the Near West Side and visit the Fulton Street location of Chicago’s venerable Goose Island Beer Co. Enjoy a pint of fresh-brewed Goose IPA in the sleek taproom, where industrial seating and a combination of exposed brick and ceramic tiled walls make for a clean, airy aesthetic. While you&apos;re there, take a tour of the production brewery for an inside look at the brewmaster’s process. Step into this dog- and baby-friendly Logan Square taproom and ask for the Farm and Family Saison or a Cold Brew Coffee Beer. Board games, a spacious layout and relaxed vibe ensure you’ll hang out and sip here all day. German influence meets Midwestern hospitality at Motor Row. Located in an historic landmark warehouse building, Motor Row Brewing takes you back in time to when the neighborhood was home to the original Chicago automotive industry. Created by Brewmaster Frank Lassandrello, Motor Row Brewing makes "everything from spot-on interpretations of traditional styles to some of the wildest beers you’ll ever drink." It offers extended seasonal releases (including a series of easy-drinking Belgian-style ales, perfect for summer), as well as collaborations and experimental one-offs. Plan your trip for Blues and Brews on Monday nights, and pair your pints with tunes by The Original Chicago Blues AllStars. hop-forward beers go hand in hand with a rustic farmhouse kitchen serving up Midwestern sandwiches and artisan clay hearth pizzas at this craft brewery haven in Chicago&apos;s Lakeview neighborhood. Take advantage of the Wizard Fight while you&apos;re there, an American IPA, described as "Amarillo, Mosaic, and Citra hops" that create a citrus and pine blast." 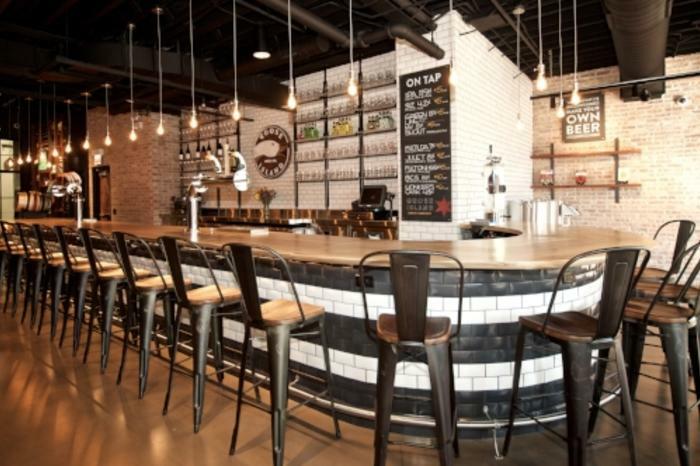 Moody Tongue&apos;s tap room is sleek, sophisticated and ultra modern. Maybe it&apos;s a reflection of Jared Rouben&apos;s stint at the three Michelin Star Per Se in New York City. Jared now leads the creative development of Moody Tongue’s portfolio of beers, and his philosophy of culinary brewing is hard to miss (definitely try the Sliced Nectarine IPA!). 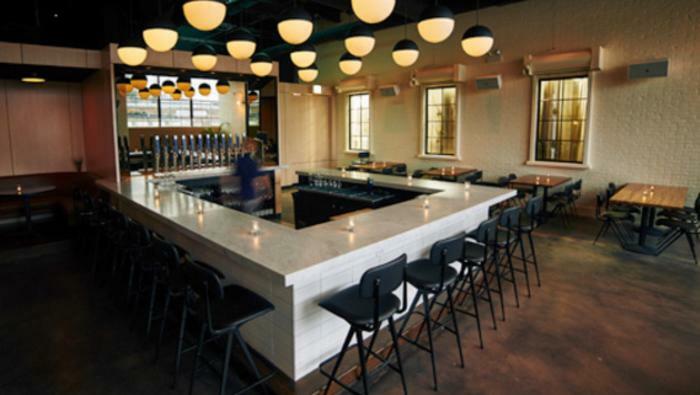 Located in the brewery-rich North Side neighborhood of Ravenswood, this “culinary brewhouse” is backed by Alinea alums Craig Sindelar and Michael Carroll, and features a wood-burning grill in addition to on-tap crafts. Beers like the Apricot Amber and the Thai Long Saison pair excellently with gourmet bar food (think sturgeon bacon on toast) and entrées like Caribbean jerk duck. 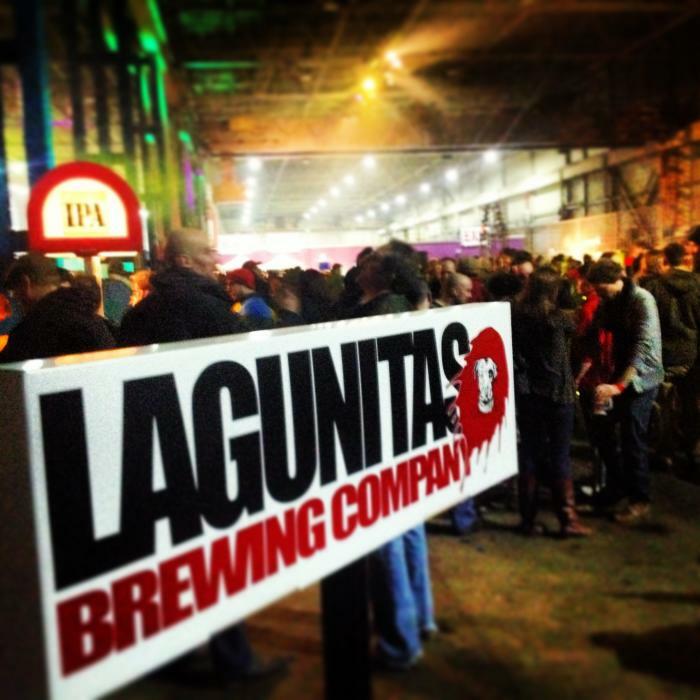 California-based Lagunitas Brewing Company opened a brewery, distribution center and TapRoom just west of the trendy Pilsen neighborhood in 2014. Upon opening, Lagunitas Chicago instantly became the largest brewery in Illinois, housing a 300-seat taproom, with free tours every day. Sitting just above the brewery, Lagunita&apos;s tap room and beer sanctuary serve up brews, music and munchies you won&apos;t find on shelves. 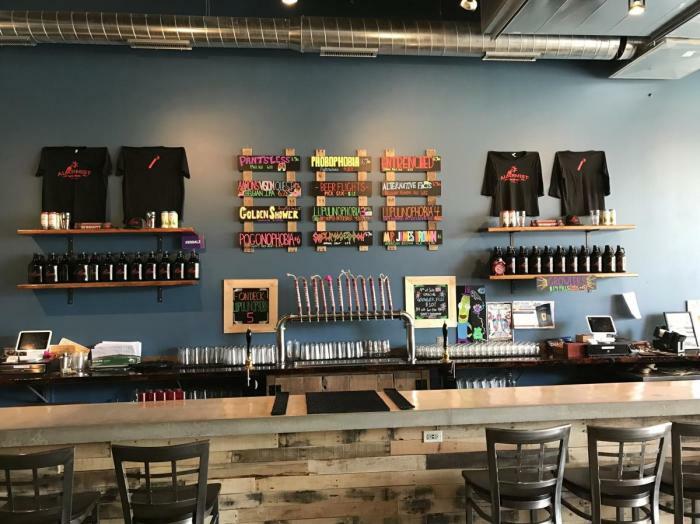 Revolution Brewing&apos;s Kenzie Avenue location — where kegs and cans are filled for distribution — is located about 1-1/2 miles from Revolution Brewing&apos;s brewpub (2323 N Milwaukee Ave). It also houses Revolution&apos;s German beer hall-inspired taproom, where you can enjoy craft beers Wednesdays through Sundays every week. While you&apos;re there, Stop by for a tour given by one of the brewery&apos;s dedicated Revolutionaries. 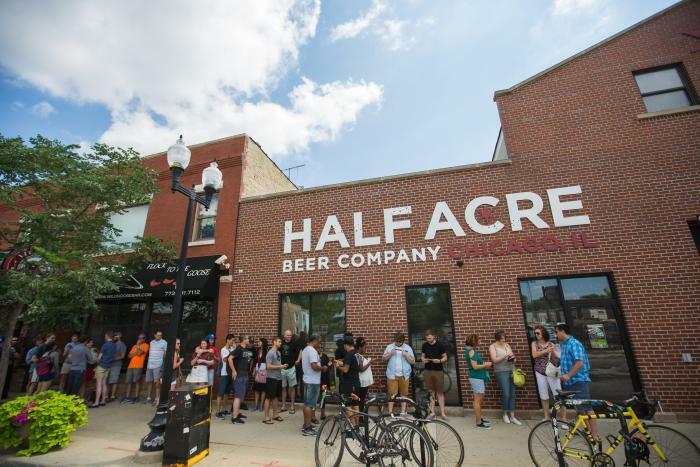 Half Acre began brewing in its North Center location in 2009, and rapidly became a Chicago institution. The Daisy Cutter is a prevailing favorite among locals, and buying a growler of the good stuff is a must-do while visiting the city. Half Acre also conducts brewery tours and has an expansive collection of unique merchandise at its store. 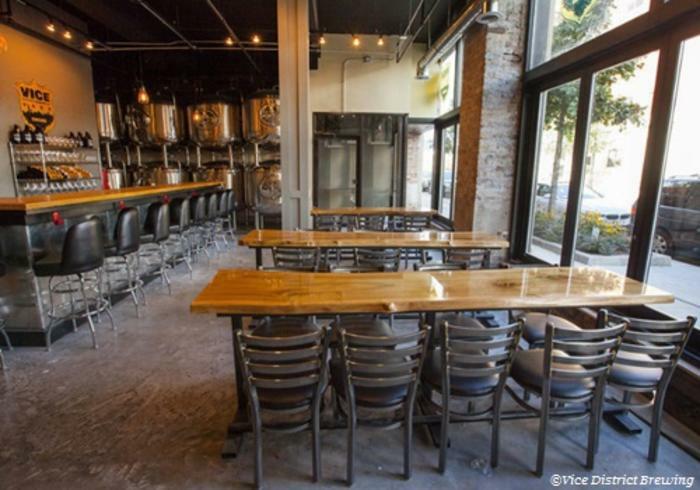 Half Acre&apos;s Tap Rooms allow for a sit-down sampling of the establishment&apos;s celebrated ales. For something a little special, head to its Balmoral location, where you&apos;ll also enjoy a lush and verdant garden. Lo Rez was formed by Kevin Lilly and Dave Dahl, two former techies who started out as home brewers. Beer names are reflective of the owners’ former careers, such as the Belgian-style Daemon Golden Ale and Memory Fault, a Scottish-style strong ale. The taproom was a labor of love, with the founders rehabbing most of the 19th-century building’s industrial space themselves. Picnic tables encourage mingling in the brick-walled taproom, which features a 40-foot-long red oak bar. There’s no food menu, but guests can bring in take-out from local restaurants. On Sundays, brunch is provided by Hearth & Market food truck, specializing in wood-fired pizzas made with farm-fresh ingredients. Empirical&apos;s taproom is its lab, although plans are underway for construction of a formal Empirical Labs, where the brewery will experiment with new recipes and produce beers on site. There&apos;s also a new Empirical Brew Pub, located within the restored Mayne Stage theater in Rogers Park. You’ll find Empirical’s flagship beers here, including its Infinity IPA, along with beer cocktails such as the Beergarita: Cold Fusion Cream Ale, tequila and house-made lime cordial. Order a dish from the beer-focused menu, such as the fish and chips coated in a batter infused with Heliotropic Pale Ale, or the corned beef sandwich slathered with Infinity IPA beer mustard. For dessert, try the boozy milkshake spiked with Phase Transition Robust Porter and crowned with beer-flavored whipped cream. The creation of Alarmist Brewing&apos;s taproom, on Chicago’s far Northwest Side in the Sauganash neighborhood, was a family affair, with owner Gary Gulley and his son crafting the beer tap handles that look like sticks of dynamite. No TVs were installed in the taproom, as part of Gulley’s aim to provide a community space filled with lively conversation. All of Alarmist’s flagship beers are available, including the Illinois-style Entrenched IPA and Phobophobia Patersbier, a Belgian ale. But also look for taproom exclusives when you visit. Alarmist is family friendly, welcoming kids (who are treated to free Goldfish crackers and juice boxes) and dogs on leashes. Food can be ordered in from area eateries. 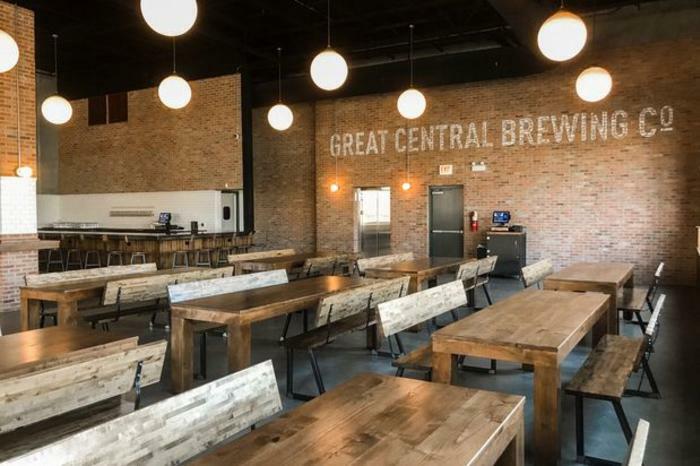 Taste some of the best craft beers from Chicago and beyond at Grand Central’s taproom, located in the West Loop’s hot Fulton Market District. This contract brewery, which helps brewery clients with their production, also turns out its own small batch beers. Take a seat at one of the wooden tables in the 200-seat taproom and select craft beers from 24 different taps. Local favorites include the Free Bird American pale ale from Begyle Brewing Company and Maplewood’s award-winning Charlatan APA. Great Central’s own offerings (available on draft and in cans) include a German-style helles lager and citrusy hefeweizen. But don’t expect any tastings or flights. Great Central believes you need to commit to at least a half pint of beer in order to fully experience it. 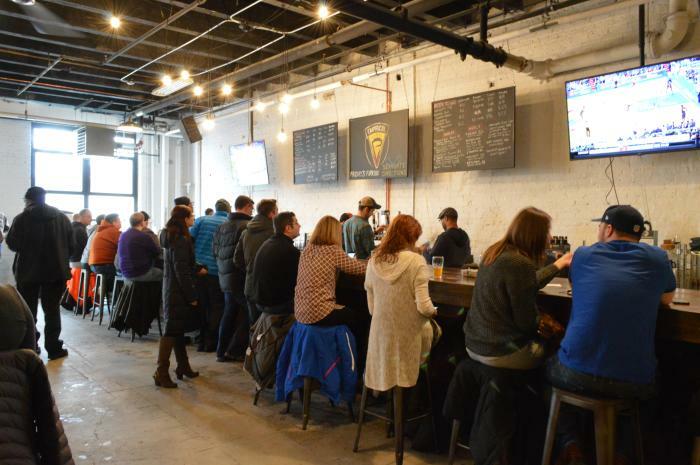 Serving up German-style lagers since 2009, Metropolitan Brewing is located in a converted warehouse in the Ravenswood neighborhood, with a spectacular Rockwell Tap Room, with river views that will literally make you froth with excitement. Its popular beers – such as Dynamo and Krankshaft – are named for the industrial history of Chicago. Public brewery tours begin Spring 2018 and average $13 per person, which includes a Metro logo pint glass and three 4 oz tasters of your choice. Tours are kid-friendly, and anyone under 21 can join in free of charge (minus the booze and glass of course). Leashed dogs of any age are welcome (they don&apos;t get booze or a glass either). Inspired by Latin heritage, 5 Rabbit was born in 2010 with a mission to infuse Latin culture into American beer styles.As such, its the first US-based Latin American-inspired brewery. Its beers are named for specific days in the Aztec calendar, and include popular varieties like 5 Lizard and 5 Vulture. For the fall, the brewery introduced Vida y Muerte (Life and Death) to celebrate the harvest season. The brewery, located in Bedford Park, features The Rabbit Hole tap room, open Wednesdays and Thursdays 4-10pm, Friday 4-11pm, and Saturday 1-9pm. Pozole is served almost every Saturday over the winter, and every Thursday after 5pm tacos are available for purchase. Angel, 5 Rabbit&apos;s taco guy, makes some killer tacos al pastor and tacos de bistek. Brewery tours are held every Saturday at 3pm. Tickets are $10 per person and include a 5 Rabbit pint glass and a pint of beer. Finch Beer Co. began in 2011 in Chicago’s Albany Park neighborhood. 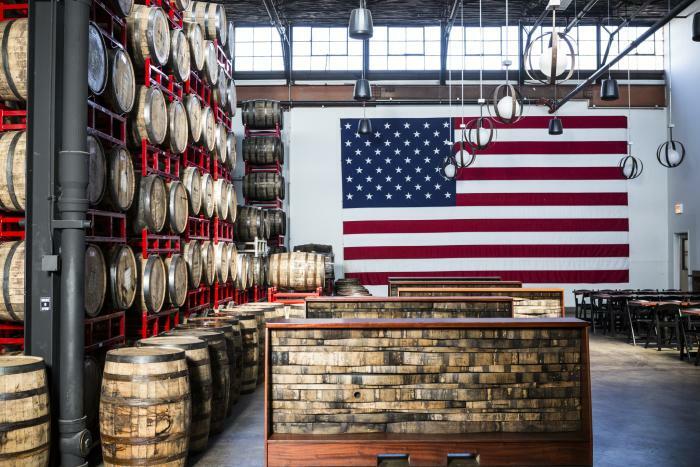 In 2017, the brewery moved to its current brewery at Walnut and Wood in West Fulton Market, and smack in the middle of the Chicago Brewing District. A lively tap room features experimental Finch beers only available in our tap room. Finch Beer have been can-fans since day one. Not only do they shield the beer from harmful sunlight, but they&apos;re easier to transport, and easier to recycle. They also provide a perfect canvas for Finch Beer Co.&apos;s awesome artwork, for brews such as Skull Hammer and Sloth Overlord. Step into this dog- and baby-friendly taproom (there&apos;s a changing table in the bathroom) and ask for the Farm and Family Saison or a Cold Brew Coffee Beer. The taproom itself is an open space, great for gathering with friends and family. Seating is communal, so you may end up making some new friends. No food is served, but you&apos;re welcome to bring your own. Hopewell holds tours of the brewery every Saturday and Sunday at 5pm. Space is limited, and tours are capped at 20 people, so you&apos;re advised to come early. Tours last about 45 minutes and include a tasting of two beers. Note: Closed-toe shoes are required on tours.